Why read a paper when you have organic sources of local news on the internet? Is this the future for all of us? “Have you seen the papers here?” asks PC Zosangzuala. The 28-year-old and I are sitting in a tiny tea shop off Aizawl’s old Zodin theatre. It is Saturday evening. The city is slowly shutting down for Sabbath. And I have just asked him how he accesses news. His answer echoes what I have heard elsewhere in Mizoram. For a state with 11 lakh population, it has a crowded newspaper industry. There are three English papers – Highlander, Newslink and Mizoram Post – and three Mizo papers – Vanglaini, Aizawl Post, and Zozam Times. However, most of these are small four- or eight-page affairs with limited local news. Mizoram Post, for instance, the biggest English paper with a claimed circulation of around 60,000, is published from the town of Silchar in neighbouring Assam. Apart from a part of the front-page, it has just one page for news from Mizoram. The biggest selling Mizo paper, Vanglaini, has a circulation of 45,000 but it, as its joint editor Lalnghinglova Hmar concedes, is a moderate paper with little investigative reporting. But the TV channels, again, have limited time and space for news programmes. And so, in the last three years, Mizoram has seen the rise of a new beast in the journalism space – “Mizo Only” discussion groups on Facebook. Aggregating news and disseminating updates and opinions from readers, these have grown rapidly. One of the biggest groups, Special Report, has 1.34 lakh members. Another, called Chanchinthar, has over 80,000 members. At present, every town in Mizoram has its own Facebook group, said Familia Fanai Laltansanga, one of the administrators of Special Report. In all, he said, the state will have over 20 such groups. In my days in Mizoram, I found most locals subscribed to one or more of these. The groups, curating news reports from the dailies and getting updates from their members across Mizoram, provide more granular information about the state than its papers do. As a result of this, more people are sourcing news from social media than traditional media. And in that sense, Mizoram is closer to the future the rest of us are still plodding towards. The couple sitting at the table behind us pay and leave. Three of the four tables in the shop are now unoccupied. The girl managing the store starts tidying up the fridge. What does it look like, this journalistic enterprise in Mizoram? It runs, almost entirely, on mobile phones. In the last three years, the state has seen the arrival of cheap smartphones. One day, I walk into Millennium Centre, the biggest mall in Aizawl and see smartphones that start from Rs 2,500. 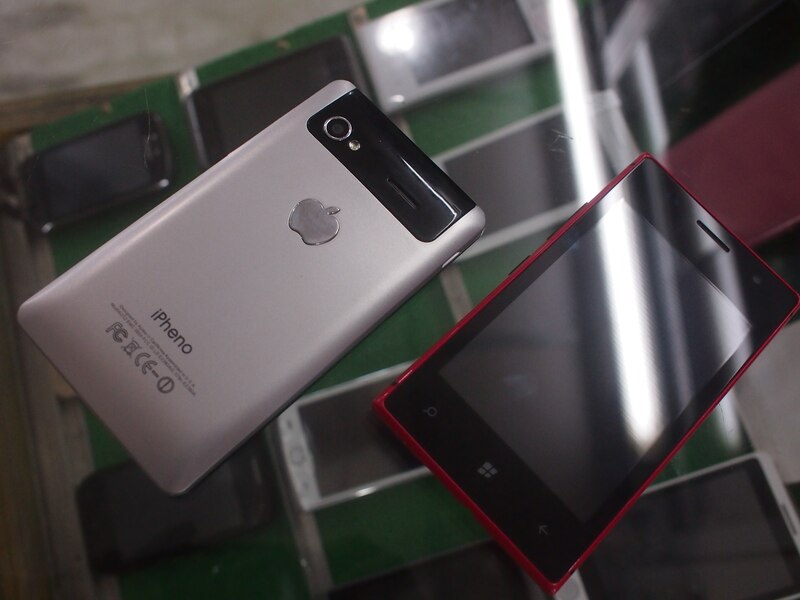 Some of these are Chinese knockoffs of iPhones, called iPhenos, and Nokia (now Windows) Lumias. The 'iPheno' in a mobile shop in an Aizawl mall. Zosangzuala uses a Rs 13,000 Asus. He was, he tells me, about to buy a Rs 3,000-4,000 Android when his uncle gifted him Rs 10,000 for a phone. He is interested in computers and wondering if he should do a Master’s in computer application or pitch an offer to government departments to maintain their computers in return for an annual fee. He finally bought Asus. The journalistic enterprise is aided by the 3G network that covered the entire state by last year. If smartphones and 3G provide the means for getting information to the members, Facebook provides the platform. To find out more about these groups, I met Familia Fanai Laltansanga, one of the administrators of Special Report. 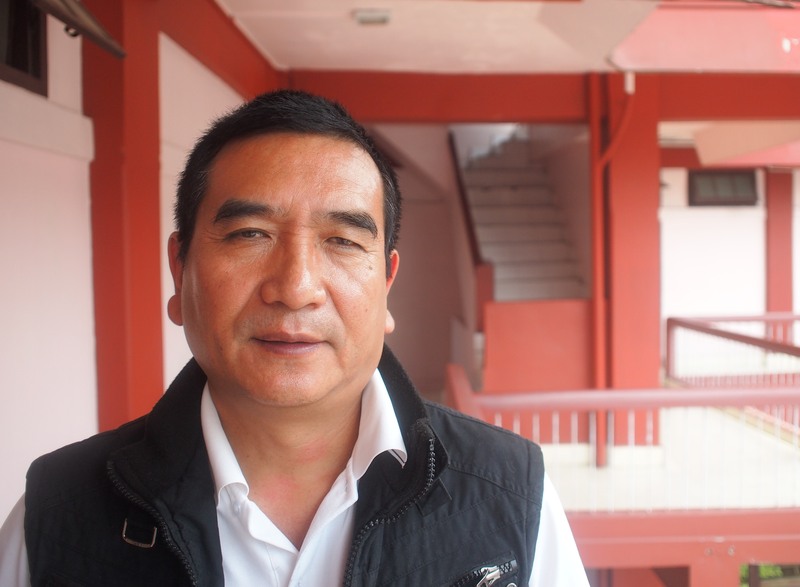 The group had been set up by Vanneihthanga, a journalist with LPS, one of the two biggest cable networks in Mizoram. Special Report was initially created as a private group, to share articles of interest among Vanneihthanga and his friends, but as word spread, it found itself awash in membership requests. In some ways, the structure of the group is similar to that of Wikipedia. It works through administrators, about 12-15 of them. “Some of us are missionaries, others are housewives, some are school teachers. We work as volunteers.” This is where the Mizo spirit of Tlawmagaihna or selfless service meets the internet ideals of collaboration and user-generated content. Says Maya Ganesh, a digital technologies researcher at Tactical Tech, a Berlin-based that pushes the use of digital technologies by civil society organisations as a strategic tool, "It's like a traditional philosophy and the user-net have met." This forms the base for what he calls research-based writing where he discusses developments in Mizoram and elsewhere. Apart from this, there are local updates. Members can report on developments in their vicinity. The biggest plus of such a journalistic enterprise is it enables information to flow up as easily as it can flow down. Being almost entirely in Mizo, it democratises information. The elite and the poor have access to the same information. At the same time, the groups have two weaknesses. One springs from their Mizo-only nature. They cannot touch certain topics. Says Familia, “When we write on Chakmas – a local Buddhist minority that is not regarded as locals by Mizos – our readers get very angry. We get a lot of negative comments.” This makes the groups operate as an echo chamber of likeminded people. Some of this is about people being unversed in a new technology and not knowing the risks and responsibilities it comes with. And some of it is to do with people going out to incite. In some of these cases, people have been booked under the Information Technology Act. A youngster who said on Facebook that he was in favour of killing unborn infants was summoned by the state children’s commission.